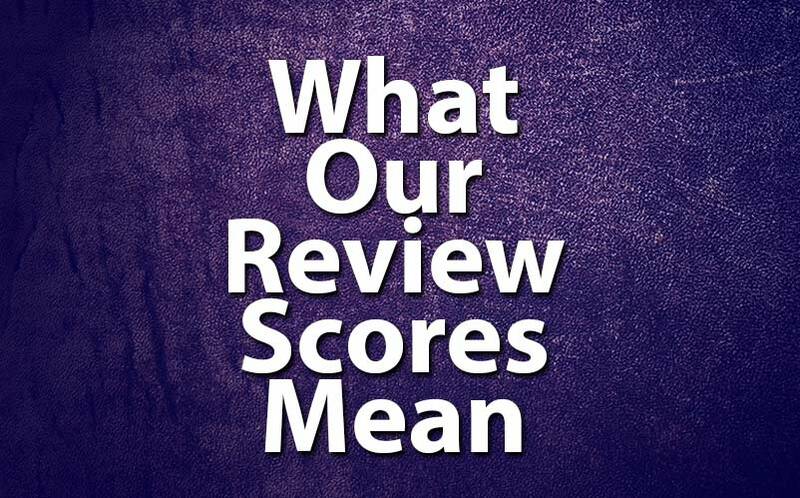 What Our Review Scores Mean | Nerd Much? We don’t ever see ourselves rating anything in this category, but that doesn’t mean it isn’t possible. Being rated “The Worst” by us means that the game/movie/show holds no merit whatsoever. We have yet to rate anything in this category here at Nerd Much, but the only “The Worst” rated products I can think of (off the top of my head) would be Superman 64 and Mac and Me. As far as games/movies/shows we absolutely loathe, they’d be more likely to be in this category: Avoid at All Costs. Whether we’d want to admit it or not, even the worst films and games can have some merit. To date, we’ve handed out two “Avoid at All Costs”, the first being to Charlaine Harris’ Night Shift, and the second being Tony Hawk’s Pro Skater 5. They’re not quite as bad as our Avoid at all Costs category, but they’re pretty close. These movies/games are incredibly bad and hold very little merit. We’re surprised that someone gave it (whatever it may be) the green light. We haven’t rated anything in this category yet, but if we would’ve reviewed Umbrella Corps or 7 Days to Die, they would both be rated Awful. Occasionally, great ideas get muddied along the development timeline, and the result is a product that should not have been released — this is the best way to describe the Mistake category. It’s an entirely unnecessary offering that, for one reason or another, it should’ve been shelved entirely. Maybe the release timeline was all wrong, or maybe it’s not what people want from a beloved franchise. Whatever the reason, the game/movie/show should’ve never been released publicly. Games that come to mind are Mighty No. 9 and Resident Evil 6, and for movies, Kevin Bacon in The Darkness. Poor movies/games are slightly better than a Mistake, but they’re still a fail. There are some good things in the product still, but they’re few and far between, with the negatives heavily outweighing the positives. It gets a passing grade, but it still has quite a few issues. Basically, it’s just “okay.” It’s probable that the games/movies in this category don’t bring anything new or unique to their respective genre. Hard Reset Redux and Excubitor are great examples of Meh games, while The Purge: Election Year is a Meh movie. Not every game has to be extraordinary to be worth the buy, as some games/movies hit the right notes and scratch a certain itch. Those games/movies are simply Good. Good games are worth the buy, and they’d typically be rated higher if they had more time to incubate a little. Mirror’s Edge: Catalyst and The Guest are Good games, while Independence Day: Resurgence and the Warcraft movie are Good movies. Now, we’re getting into the territory of the truly great and unique games. These games might have two or three small flaws, but their positives far outweigh their negatives. If they’re rated Great, they’re a must-play or must-watch, and the majority will find the game/movie highly enjoyable and worth talking about. Great movies include The Wailing and Marauders, and Great games are games like Furi and Koihime Enbu. Sometimes, a Great rating just doesn’t explain how good a game, movie or TV show is. For when Great doesn’t quite cut it, there’s our Amazing rating. This means that the game is nearly flawless and is enjoyable in every aspect. The game mechanics are sound, and the game doesn’t have more than one or two small flaws. Examples of Amazing games include Tokyo Mirage Sessions #FE, Overwatch, and Dark Souls 3. On the movie side of things, Star Wars: The Force Awakens and Nice Guys are Amazing. Gold ratings are few and far between, and it’s not something we just hand out here at Nerd Much. Although many movies/games/shows will come close to a Gold rating, only few will earn it. Gold means whatever we are rating is a perfect game, movie, book or TV series, and you can no longer talk to us if you don’t immediately go play it/see it/read it. A Gold rating means the people behind the project put their blood, sweat and tears into the final product, and it clearly shows in every way. A few examples of Gold movies include Psycho (the original, of course) and Jurassic Park. On the gaming side of things, Super Mario 64, Uncharted 4, and The Last of Us are all Gold.